3M Multi-Purpose Spray Adhesive is a must have in your home, studio or office. It is ideal for a variety of projects including craft projects, model making and quick and easy household fixes. 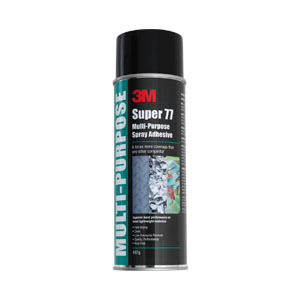 3M Multi-Purpose Spray Adhesive can be used on paper, card, fabric, plastic, metal and wood. It is fast drying, and instantly creates a strong bond on contact. Recommended to be used in a well-ventilated area or in the Artograph Spray Booth.